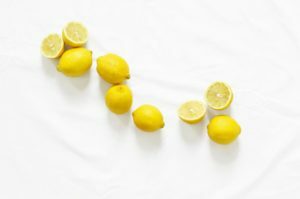 I am thankful for my experience with leaky gut. This was the beginning of my health journey and the reason why I am a Naturopath, Nutritionist and Herbalist today. If it wasn’t for leaky gut, I was aspiring to be an accountant or a hotel manager. Isn’t it amazing how your health can spin around your life and career aspirations! Many people say “oh yeah I have leaky gut”. Yes that is true, many people do have leaky gut. But I am yet to meet someone who has a gut as leaky as mine. I use tongue diagnosis in a clinic setting, and I am yet to see a tongue as scalloped as mine. Serrated edges on a tongue is a sign of malabsorption and one of the signs of leaky gut. I had just turned 16 years old. Until then I was the healthiest, fittest, strongest and sportiest kid that everyone knew. My first symptom was painful bloating. 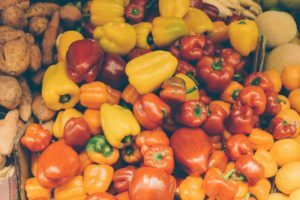 I had some pre-existing Nutrition knowledge so I kept a food diary. I researched all of the common allergenic foods, but I could not make any connection between gluten, dairy, eggs or nuts. However, there was an unusual connection. All protein foods were the problem, meat, eggs and dairy products. I researched more. I thought I was lacking protease enzymes that digest protein. But why would this be? It didn’t make sense. Is there such thing as a malfunction in a digestive enzyme pathway? I can’t remember how or when I figured it out, but the cause was hypochlorhydria (low stomach acid). Stomach acid activates our enzymes, and protein requires more stomach acid for digestion that carbs and fat. For a couple of years I could not eat protein foods without taking apple cider vinegar and lemon juice beforehand. I did not realise at the time, but taking something acidic to mimic my stomach acid was masking the symptoms. It hit me when a family member said to me, “do you have to take that stuff the rest of your life? So if you travel the world, you have to carry a bottle of vinegar around with you?” This comment made me really think… what was the cause of hypochlorhydria? The answer was given to me a couple of years later during my studies. A Naturopath tutor said it, the two words that changed everything… ZINC DEFICIENCY. Of course! I also had acne, hormone imbalance and white spots on my nails, all of the typical signs. Zinc is the most underrated mineral. It is deficient in NZ soils, therefore, most people are deficient. I prescribe it to most clients because it is simply impossible to obtain enough without supplementing in zinc, a multivitamin/mineral, or unless you love oysters. 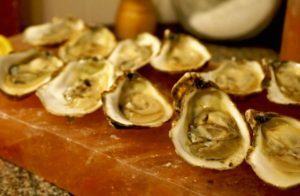 Oysters are the richest food source. I do prefer that we source our nutrients from wholefoods, however, you are excused from this rule when it comes to oysters! Leaky gut lead to me developing gluten intolerance, lactose intolerance and multiple food allergies. 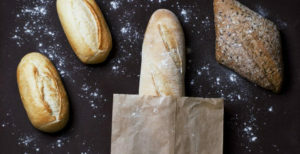 Gluten intolerance is no surprise. My grandmother was Irish and her GP diagnosed her with “IBS” (irritable bowel syndrome). I believe it was Coeliac disease (genetic, autoimmune gluten intolerance). Coeliac disease is extremely common in Irish ancestry. Irish evolved on potatoes as their staple food. During the potato famine, they were forced to switch to grain, predominantly wheat. This resulted in inability to thrive in many people, especially children. The large belly and skinny limbs sickness as seen in starving African people. The belly protrudes and muscles waste away in protein deficiency. Coeliac disease and leaky gut (which go hand in hand), cause protein malabsorption and deficiency. Additionally, my dad has Crohn’s disease, which is another genetic, autoimmune disease of the digestive system. Autoimmune conditions run in the family. Supporting the digestive system is one of the important ways to prevent autoimmune conditions. On the other side, my grandmother is Chinese. Nearly all Chinese (and Asians) are lactose intolerant, yet they drink milk like it’s the elixir of life! I wonder why my grandmother had digestive issues? 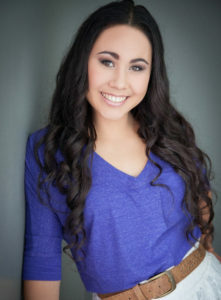 Food allergies are unknown in my family. I know leaky gut was the culprit for that and the downward spiral of my health. I am a typical DIY kiwi with a stubborn attitude who won’t let anyone help me. I knew the only way was to help myself. A Naturopath would probably have got to the bottom of it. But why would I consult a Naturopath when I could be one? Leaky gut will bring to the surface health conditions that you are genetically predisposed to. It has a domino effect in the body. The momentum will not slow down or stop until you address it. It reduces quality of life and has a flow on effect on many areas of life. Leaky gut syndrome (also called intestinal permeability) occurs when tight junctions between the cells in the small intestine leak undigested food particles into the bloodstream. We absorb most of our vitamins and minerals in the small intestine. Therefore, if the integrity of our gut is compromised, this reduces our ability to obtain nutrients. When these large particles enter the bloodstream, the body does not recognise them as they are not completely broken down. The body launches an immune attack and treats these everyday foods as foreign invaders. Multiple food sensitivities develop against healthy foods that the majority of people have no issue with. Leaky gut is an increasingly common but silent health condition. It is now being linked to many health conditions, including all autoimmune diseases. Leaky gut is linked to autism, dyslexia, depression, dyspraxia, ADD, ADHD, schizophrenia and eating disorders. One of the first comprehensive books on leaky gut was “Gut and Psychology Syndrome” by Dr Natasha Campbell-McBride. This is the first book I read about leaky gut and I still refer to the invaluable information today. 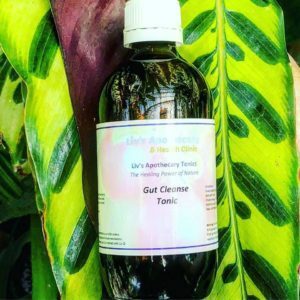 Causes of leaky gut include, vaccinations (due to excipients like mercury and aluminium), poor diet (particularly high in gluten), chronic stress, some medications, environmental toxins (mercury again), pathogens, intestinal dysbiosis (imbalanced gut flora), a diet high in gluten, and anti-nutrients (e.g. phytates and lectins) in a diet full of grains and soy. Signs and symptoms of leaky gut not only occur in the gut, but are systematic throughout the body. Including, food sensitivities/intolerances/allergies, bloating, gas, irritable bowel, tiredness, poor concentration, dark circles under eyes, acne, nutrient deficiencies (particularly iron, zinc and vitamin B12), joint pain, headaches, underactive thyroid and poor immunity (about 80% of our immunity is found in our gut). Leaky gut is also linked to leaky brain (permeable blood brain barrier), which is responsible for mood swings, headaches, tiredness, and other behavioural conditions. A gluten and dairy (casein) free diet is essential in this case as gluten and casein have the ability to attach to opioid receptors in the brain. Gluten is called ‘gluteomorphin’ and casein is called ‘caseomorphin’. Yes, as the names sound, they have the ability to act like drugs in the body. This is the culprit behind tantrums and mood swings in many children. Diet excluding grains, legumes and dairy. Include fruit (2-3 pieces/day), vegetables, meat, seafood, eggs, and soaked/activated nuts and seeds (exclude peanut butter as it is high in lectins). Elimination diet – consult a Naturopath to devise an elimination diet plan. This may help link food triggers to symptoms. A Naturopath will also determine if another method of allergy testing is appropriate. Intestinal dysbiosis is highly likely in leaky gut. A ‘weed, seed and feed’ treatment is beneficial. Intestinal dysbiosis is commonly caused by antibiotics, vaccinations, medications (oral contraceptive pill), and C-section birth. This treatment is more effective whilst avoiding sugar and refined carbohydrates that feed bad bacteria. ‘Weed’ the unbeneficial bacteria out of the large intestine using antimicrobials (antibacterials, antifungals and antiprotozoals). These substances include garlic, grape seed extract, coconut oil, raw honey, colloidal silver, oregano essential oil (use sparingly), and many Herbal Medicines. Goldenseal and Bearberry are more antibacterial, while Pau d’arco and Wormwood are more antiprotozoal. Check out my Gut Cleanse Tonic. ‘Seed’ the gut by inoculating it with probiotics like fermented foods and/or a supplement. Check out my Blog ~ Probiotics and Prebiotics. ‘Feed’ the probiotics with prebiotics (fibre), while sugar feeds bad bacteria. Resistant starch effectively feeds beneficial bacteria. Check out my blog ~ Resistant Starch – the new fibre. Anti-inflammatory diet reduces inflammation, which is involved when the gut is irritated. Omega 3 is the most beneficial nutrient here. 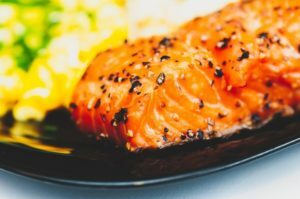 Omega 3 can be taken in the form of supplement (fish oil or cod liver oil), or foods including oily fish (salmon, sardines, anchovies and mackerel), chia seeds and flaxseeds (including their oils), walnuts and pecans. Other anti-inflammatory foods include turmeric (curcumin), pineapple (bromelain), plus colourful fruit and vegetables high in antioxidants and phytonutrients. Reduce inflammatory foods, including processed vegetable oil (particularly once heated they become hydrogenated/trans fats), oxidised/rancid fats (use high quality oils), non-organic animal fats (meat and dairy) have a high omega 6:3 ratio which contributes to inflammation, white foods (flour, sugar etc. contain no micronutrients). The Mediterranean diet is the perfect example of an anti-inflammatory diet, with emphasis on extra virgin olive oil. The nightshade family of vegetables are not recommended. These include potato, tomato, capsicum, eggplant and chili. This group of vegetables are inflammatory and high in lectins (similarly to grains and legumes), which are irritating to the gut. Kumara, pumpkin and other roots are better options if you need starchy vegetables as they are not part of the nightshade family. Liver contains protein, vitamin A (nature’s most concentrated source as vitamin A is stored in the liver), B vitamins (particularly B12) and iron. 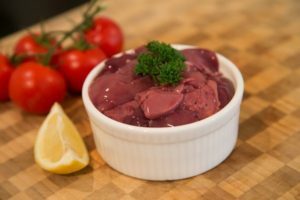 Liver can be made into pate or hidden in mince dishes. Choose organic where possible as animals (and humans) store and process toxins in their liver. Incorporate liver into meals each week. I recommend about 50g twice a week. Bone broth is a rich source of gelatin and the amino acid glutamine. Glutamine feeds our enterocytes (precious one cell layer thick lining of our small intestine). Alternatively gelatin powder and/or a glutamine supplement can be taken. I recommend 1-2 cups per day. This can be taken straight or used as a base for soup. Check out my blog ~ Jelly is a Superfood! Chia and flax seeds not only contain omega and many other minerals. Once soaked in water a mucilaginous jelly forms. This is extremely soothing to the gut. 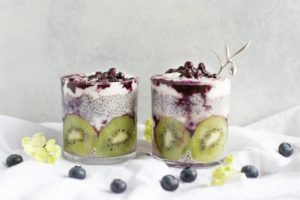 Chia and flaxseeds make a great breakfast/snack in the form of chia pudding, or they are the perfect addition to smoothies. There are lots of recipes online for chia puddings. For smoothies, soak about 1 tablespoon of each chia and flaxseeds in ½ – ¾ cup of water and store in the fridge overnight. Cod liver oil contains omega 3 and vitamin A. Choose one with added vitamin D. All three of these nutrients are highly beneficial for the gut. I recommend 2 teaspoons per day, 1 in the morning and 1 in the evening. Zinc is the most important mineral for restoring leaky gut as it effectively strengthens tight junctions. I believe it is the most underrated mineral, alongside magnesium. I recommend about 50mg per day (dosage depends on age and gender). Glutamine is an amino acid (building block of protein) and building block of our enterocytes, these are our small intestinal cells. Glutamine is taken as a flavourless powder. I recommend 2 teaspoons per day, 1 in the morning and 1 in the evening. As an alternative to bone broth. Digestive enzyme supplements aid digestion. A healthy gut has brush border enzymes that facilitate chemical breakdown of food. A damaged gut lacks enzymes. Digestion of starches and complex carbohydrates is especially difficult. Hence why these foods are reduced in a gut healing treatment plan. Multivitamin and mineral is beneficial during this time to boost nutrient intake. Leaky gut causes nutrient deficiencies in many nutrients. We need vitamins and minerals for all of the biochemical processes in our body. Marshmallow and Licorice in the form of tea or herbal tincture are soothing to an irritated gut. Herbal tinctures are available from Herbalists. The polysaccharides contained in these herbs are mucilaginous. The plant constituent mucilage is responsible for the mucilaginous quality. Mucilage relieves inflammation and irritation of the intestinal tract. Slippery elm, similarly to Marshmallow and Licorice, has mucilage which is soothing to the gut lining. Take about 2 teaspoons per day, 1 in the morning and 1 in the evening. 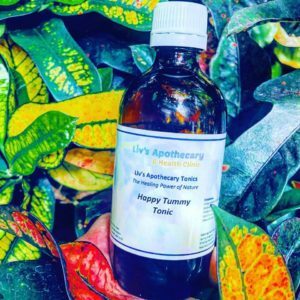 Check out my Happy Tummy Tonic. Breakfast: bacon (preferably nitrate free) or leftover meat, eggs, greens and tomatoes (or any vegetables). Or smoothie: berries, soaked chia/flaxseeds, almond/coconut milk and optional nuts or raw egg. Lunch: tinned salmon/eggs/leftover protein from dinner with salad including avocado/olives/nuts/seeds and homemade dressing (olive/avocado oil and lemon juice/apple cider vinegar/balsamic vinegar). Dinner: fish/chicken/meat with vegetables (excluding starchy roots e.g. potato and kumara, pumpkin is ok). Cook in coconut oil or olive oil on a low heat. Herbs and spices enhance digestion. Snacks: up to 2-3 servings of low sugar fruit (e.g. berries, kiwifruit or green apple), raw vegetables with homemade pate (liver), soaked/activated nuts/seeds, or boiled eggs. Bone broth: 1-2 cups per day. Either drink straight (chicken broth is most palatable by itself), add to cooking or use as a base for soup with vegetables and meat (can eaten for lunch or dinner). Fermented foods e.g. sauerkraut and kimchi (about 1 tablespoon per day) are recommended alongside a probiotic supplement. A gut healing treatment can take 3-12 months depending on the individual case. It is essential to consult a Naturopath for assistance with Nutrition, supplements and Herbal Medicine during this time. 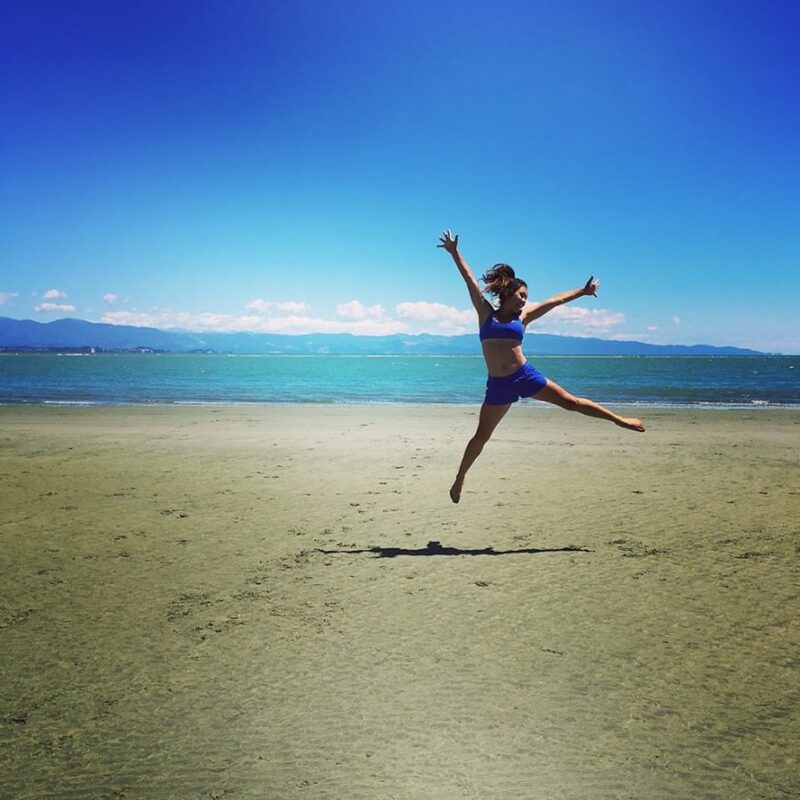 Also check out my Blogs ~ Top Tips for Optimal Digestion. And Leaky Gut & Digestion ABC’s.